Millions of people become victim of identity (ID) theft each year. You cannot completely prevent ID theft from occurring however you can minimize your risk. This is a four-part lesson on ID theft. In our first lesson, we learn what ID theft is, the benefits ID thieves derive from stealing your personal data, the types of personal data ID thieves look for and the effects of ID theft. In our second lesson, we discussed the many ways ID thieves can access your personal information. In this third lesson, you will learn several preventive measures you can take to secure your personal information. documents with social security numbers, date of birth, etc. The best way to discard such documents is to shred them. Make sure you get a shredder that provides cross-cut shredding rather than strip cut. When you shred documents through a cross-cut shredder, the documents come out like confetti. The strip cuts can be easily taped back together. You can purchase a cross-cut shredder at any office supply store. Be careful using business & copy centers in public places as well as your workplace. Before leaving those areas, pick up all of your personal documents. Check the copier & fax machines to make sure nothing is left behind. If you get a paper jam, make sure all pieces of the document are pulled out of the machine. You should also secure documents at home, especially if you lease/rent or live with a roommate. Maintenance workers will often enter your apartment for a variety of reasons. Do not leave personal items such as checkbook, bank statements, passport and social security card laying around. Secure your sensitive documents in a fire safe deposit box and store it out of sight. Surfing the Internet exposes you to a host of risks. Make sure you maintain an updated Internet security software for your computer. Norton & McAfee are two top companies offering computer security software. You can often get a free or discounted license of security software for your computer as an employee or student. Check with your IT dept. or Student Affairs dept in college to see what is available to use in the way of technology discounts. When placing an order online and you need to submit sensitive information such as credit/debit card account numbers, look for the SSL encryption lock. 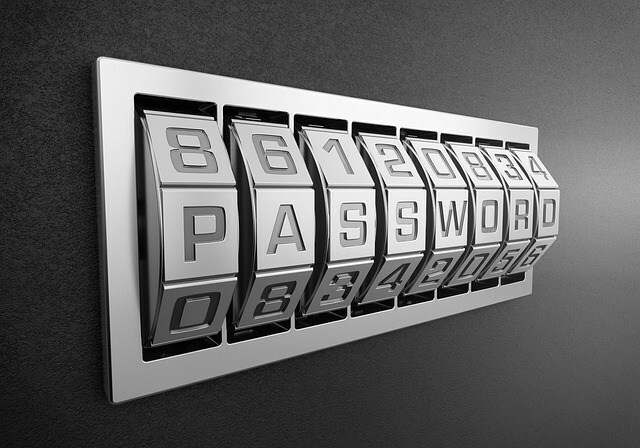 A webpage is secure if it has the green or gold lock with a web address starting with “https”. Note that there must be a ‘s’ with “https” for the webpage to be considered secure. If you do not see this, do not enter your personal information on the webpage. That webpage is unsecure and vulnerable to hacking. Have your bank and credit/debit card statements sent to you electronically. This greatly minimizes the chances of mailings with sensitive information falling into ID thieves’ hands. This can also occur when the mailman mistakenly places your mail in your neighbor’s mailbox. Many creditors offer paperless billing for free. If needed, you can download your monthly e-bills or statements to view and save them on your computer if needed. Never release your personal information to anyone who calls or emails you posing as a representative of a company. For example, if you received a call from someone claiming to be from your bank asking you to provide information to update your account, do not do so. Hang up and call your bank from the number posted on their website or your billing statement to confirm if that inquiry was legitimate. ID thieves are becoming more sophisticated. You need to be proactive in guarding your identity. Patrons, send me any questions you have.